“Mawwaige….. is wot bwings us togeddah…” The clergyman in The Princess Bride may have said it best, but cultures all over the world have been celebrating marriage for thousands of years. Each culture has its own traditions and ceremonies to celebrate the joining of two people in love and matrimony, be they funny or carefree, serious or solemn. 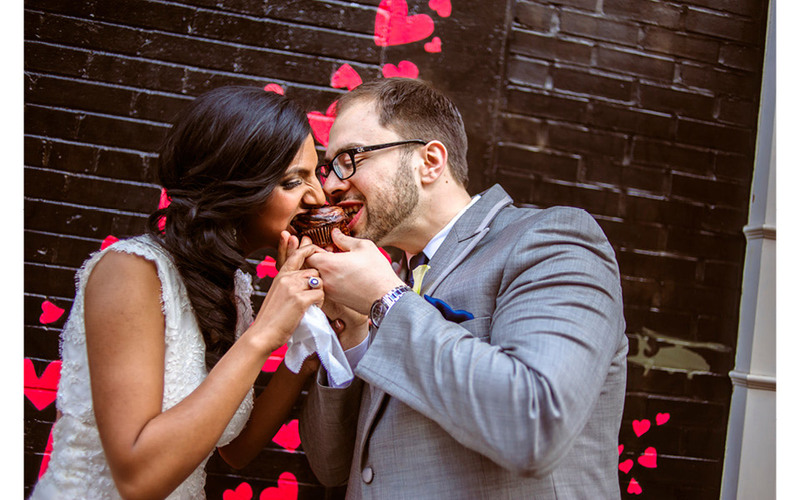 From eating chocolate and champagne from a toilet in France to dancing with a camel in Niger, here are 42 ways that people around the world celebrate marriage! 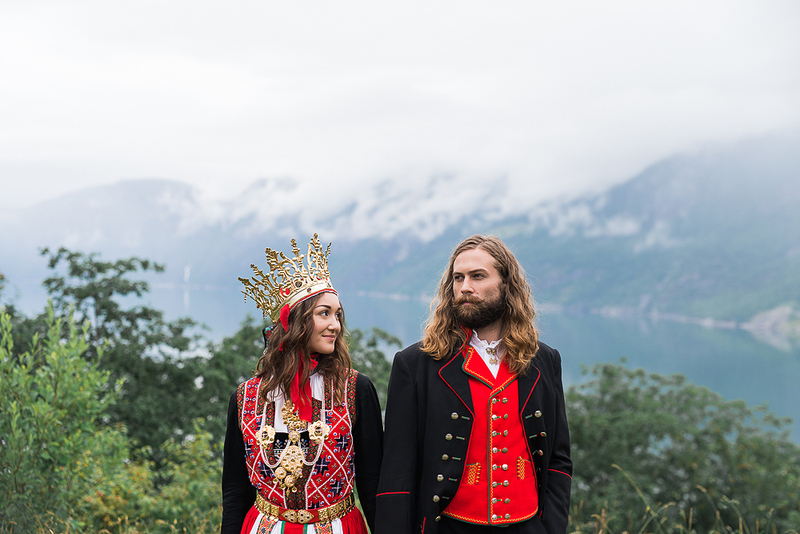 Traditional Norwegian couples are married while dressed in red and blue tunics covered with gold and silver bangles, which clink together making sounds that keep evil spirits away during their nuptials. They also don reindeer skin boots and wear crowns covered with charms shaped like spoons. To follow the tradition, the bride must dance until her crown falls off. 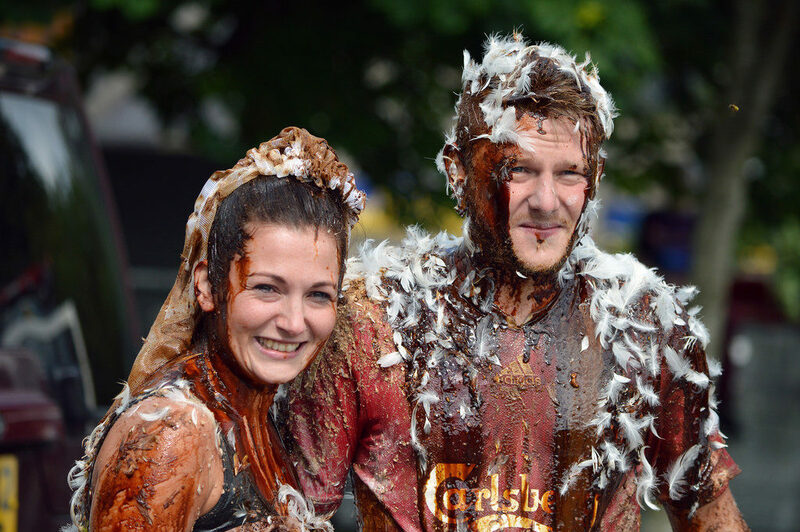 Italian couples can expect to be showered with brightly-coloured bits of paper called coriandoli at their wedding celebrations. The word confetti comes from this practice—confetti refers to sugared almonds or candies that were once thrown at these celebrations. This was an expensive and somewhat wasteful practice however, and in 1875 a clever merchant in Milan began selling tiny colored paper discs for this purpose—the discs were byproducts of the holed sheets of paper used as bedding for silkworms in silk production. The paper discs caught on as they were cheaper and more fun, and presumably it was less annoying to be showered with coloured paper than hit by sugared almonds. 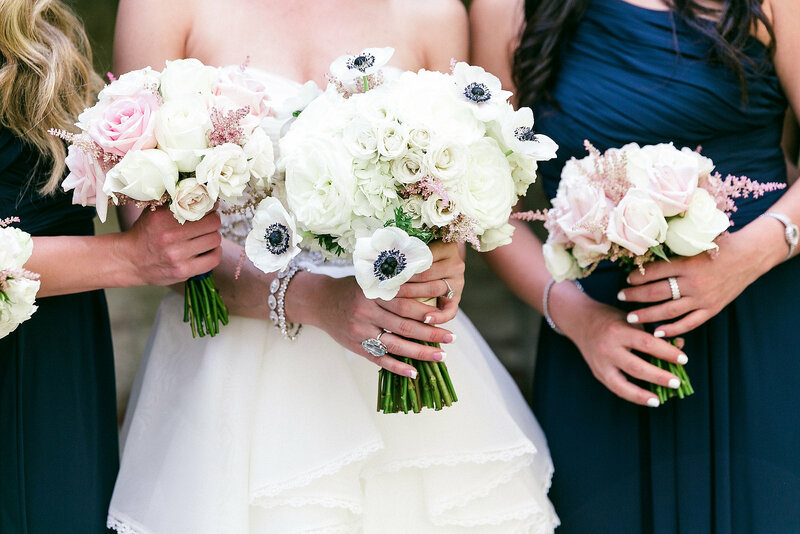 Brides in Mexico sometimes carry two bouquets down the aisle at their weddings: one for themselves, and one as an offering to the Virgin Mary, so that she may bless the marriage. At weddings in Germany, brides and grooms start working together before the reception is even over. 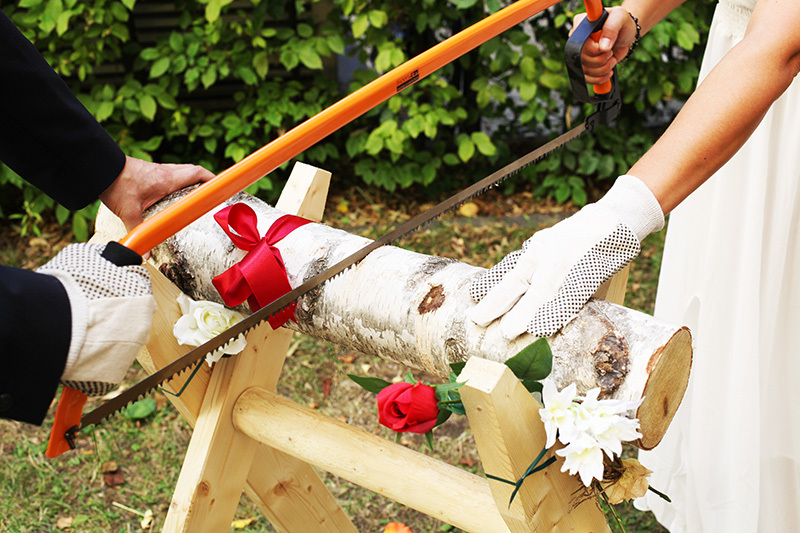 Cutting a log represents overcoming the first obstacle a couple will encounter in their marriage, so using a long two-handled saw, the couple saws through a log together to demonstrate their teamwork and commitment to solving problems. Presumably the brides don’t mind getting sawdust all over the hems of their dresses. 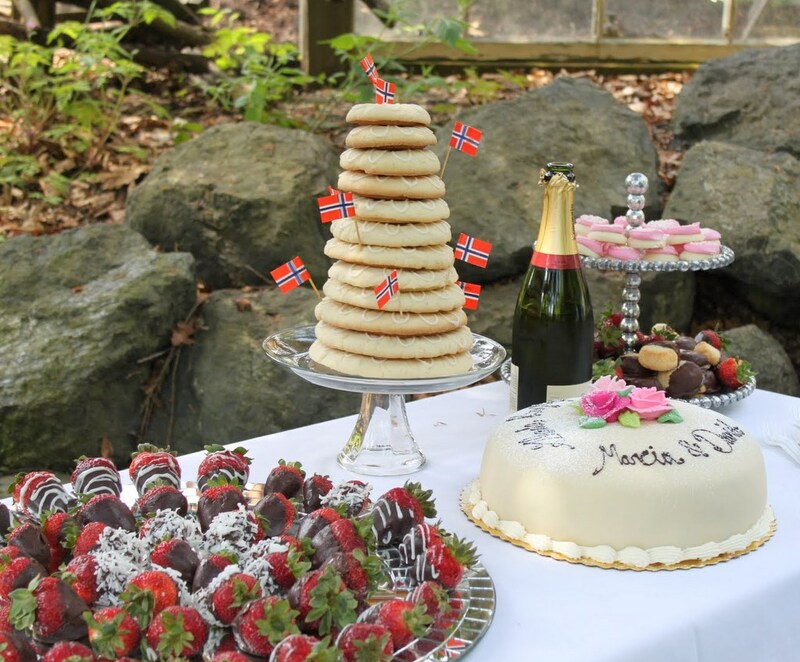 Norway has its own version of the tiered wedding cake: the kransekake! A kransekake is made by stacking a series of ring shaped almond cookies, decreasing in size, to form a circular tiered pyramid of almondy goodness, traditionally decorated with icing and little Norwegian flags. The top layer is for the bride and groom and they break the other rings for their guests instead of slicing. The cookies can be stacked over a wine bottle, revealing a nice treat for guests after they devour the cookie rings. Weddings in the Philippines unite couples both figuratively and literally. 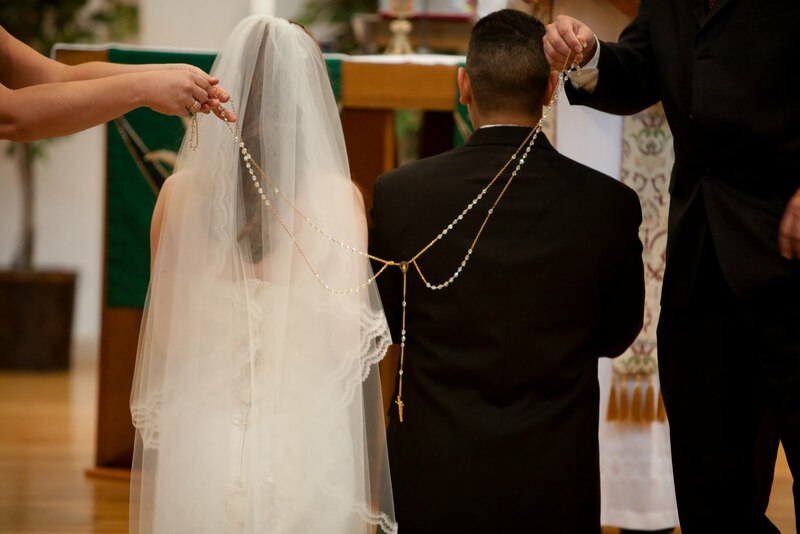 Filipino couples are draped with a cord called a yugal, which is looped around the couple to form a figure eight (or an infinity sign) symbolizing their everlasting fidelity to each other. Brides and grooms in Scotland have it rough: their traditional way of warding off evil spirits before the big day involves being captured by family members, smeared with the stickiest foods or substances that can be found, then being paraded in front of the community or driven around in an open-backed truck while friends and family bang pots and pans. 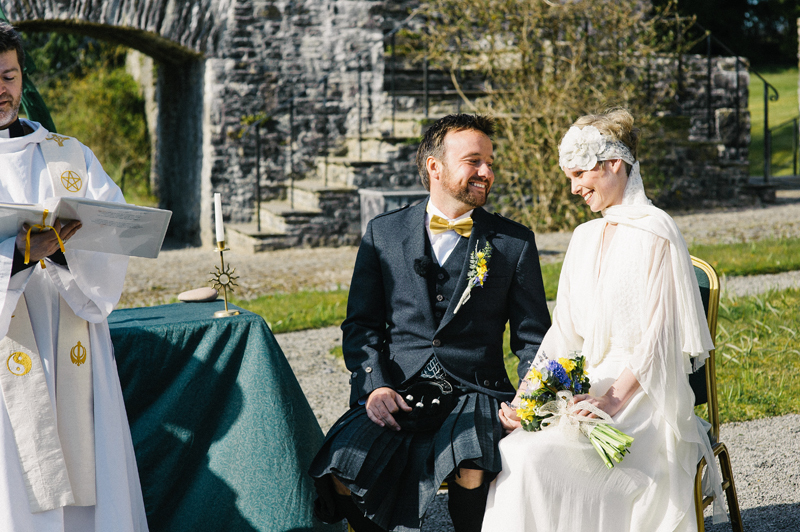 With a tradition that basically amounts to being tarred and feathered, it’s a wonder anyone in Scotland gets married at all! 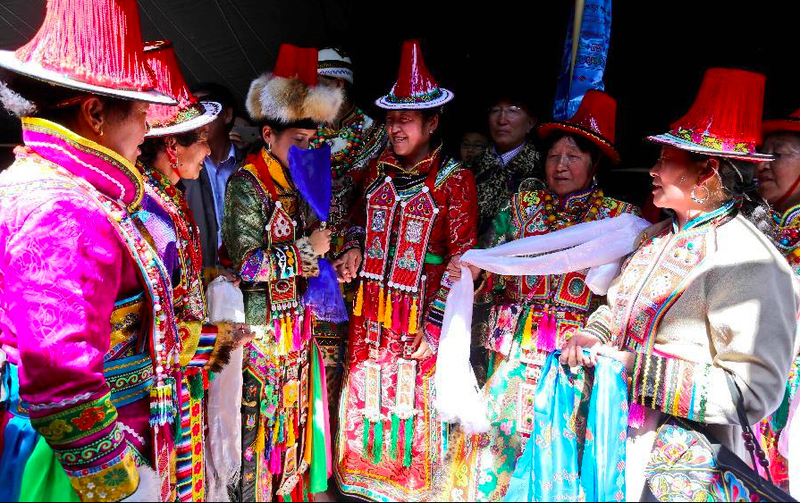 In the Yugur ethnic group in China, grooms must shoot their bride three times with a bow and arrow before they can wed—thankfully, the arrowhead is removed from the arrow before the groom takes aim. The groom then breaks the arrow in half, ensuring that the bonds of love can’t be broken. Pakistani weddings feature a very sweet-smelling tradition: the groom wears a ring of flowers around his neck during the ceremony. Before the ceremony, there are days of feasts and exchanging gifts, and after the wedding, there is an elaborate reception that can take days, wherein men and women dine in separate sections of a tent. 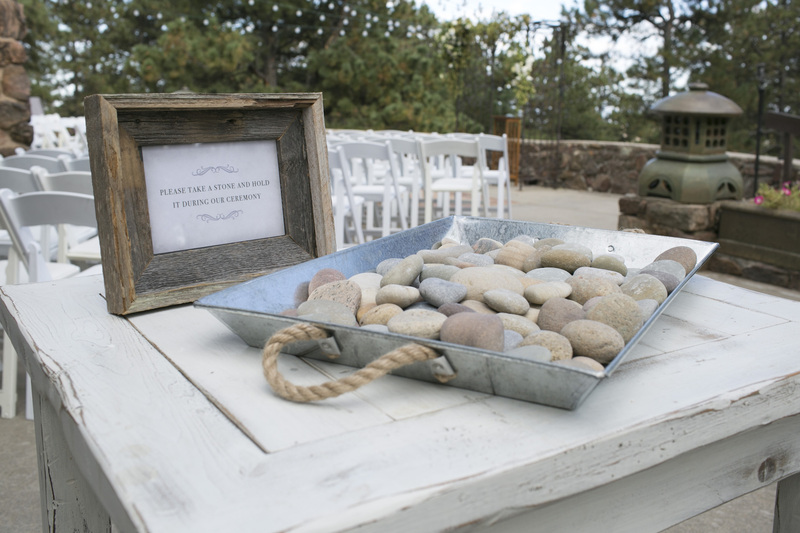 At weddings in Australia, guests may be asked to hold differently colored stones or marbles in their hands during the wedding ceremony. At the end of the ceremony, guests all place their stones in a decorative Unity Bowl, to be kept and displayed in the home of the newlywed couple—a reminder of the presence and ongoing support of their friends and family. German brides and grooms can expect to ring in their new marriage with a lot of sweeping: the tradition of “polterabend involves guests smashing dinnerware and crockery outside the home of the bride’s parents or of the newlywed couple on the eve of their wedding. The broken shards are supposed to bring good luck to the happy couple. 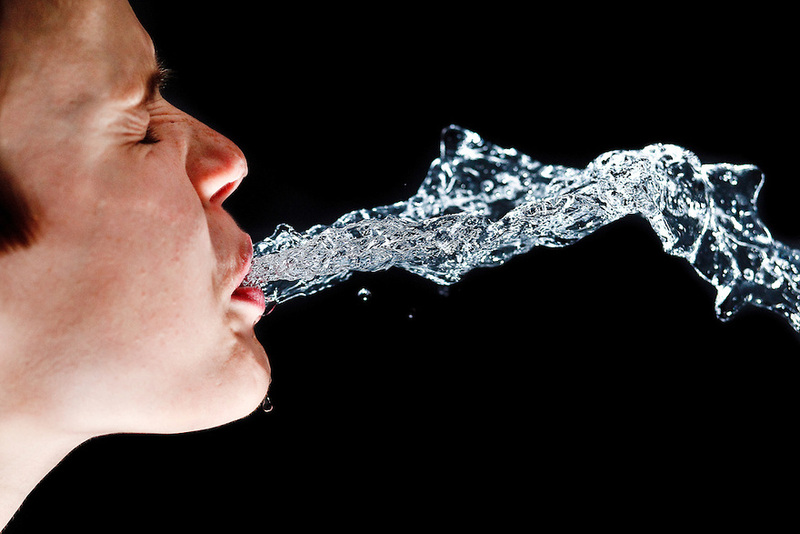 It seems many traditions from around the world involve making a mess. In Guatemala, a white bell filled with rice, flour, and other grains that represent prosperity and abundance is placed at the entrance of the groom’s home. When the newlyweds enter, the groom’s mother breaks the bell to wish the couple happiness and abundance in their new life together! During slavery, African-Americans were not permitted to legally marry, but as love sill endured, slaves came up with ways to make public declarations of their commitment to each other. One of these customs was to jump over a broom, which eventually became a de facto marriage ceremony. The practice is still found today in some communities as a tradition left over from the past. Special decoratively-carved brooms are used, and they’re often displayed in the couple’s home after the wedding. 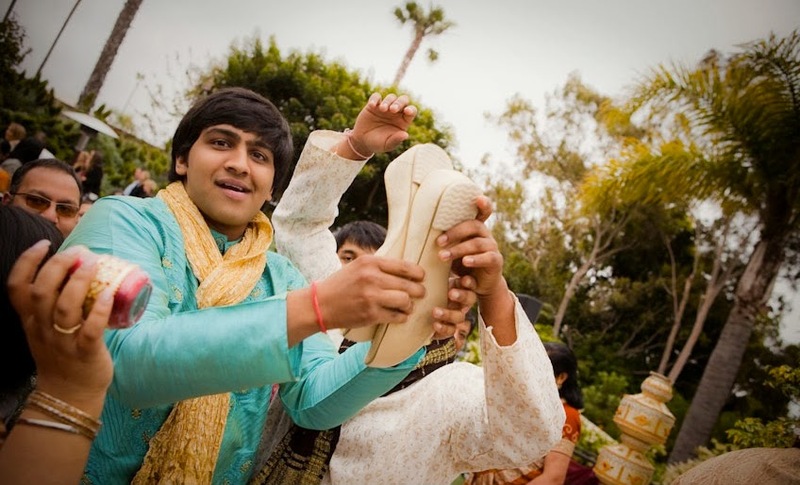 In India, it’s customary to remove one’s shoes before entering the mandap, or wedding tent. One playful custom involves the bride’s sisters or cousins stealing the shoes of her betrothed—he must convince them to return the shoes (or even pay a bribe) before he exits. While American brides often diet in order to slim down for their big day, brides in Mauritania do all they can to put on weight. Obesity is seen as desirable, as it can be a sign of wealth and abundance. Women known as “fatteners” perform a practice called “leblouh,” where they force-feed young girls with rich and fatty foods in order to attract husbands. 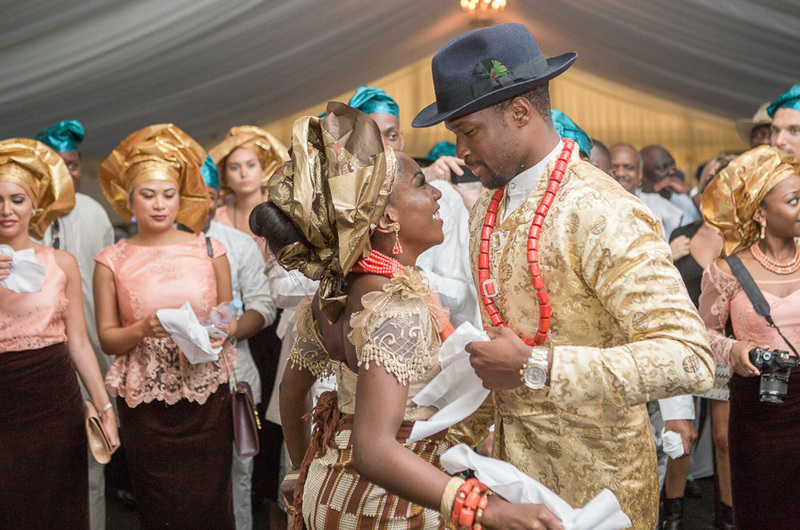 A wedding tradition of the Yoruba people of southwestern Nigeria takes the bride and groom through a journey of the emotions they can expect to encounter in their marriage, by way of their taste buds. They taste different flavors: sour (lemon), bitter (vinegar), hot (cayenne), and sweet (honey) and demonstrate that together they will be able to get through life’s hard times and, in the end, enjoy the sweetness of marriage. 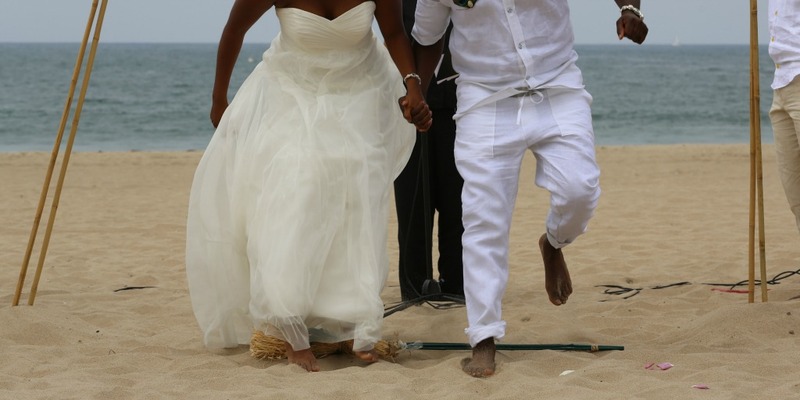 Adjusting to newlywed life after the excitement of a wedding can be a difficult adjustment. In Kenya, instead of praising brides on their special day, people of the Masai tribe avoid post-wedding disappointment with a strange ritual: The bride’s father spits on her head and breasts as she leaves the village with her new husband after the ceremony. Instead of holding the knife together to slice a wedding cake, couples in Chinese Inner Mongolia have a slightly less appealing tradition: killing a chick together. Before they set the date of their wedding, couples hold the same knife while they kill and gut a baby chick. 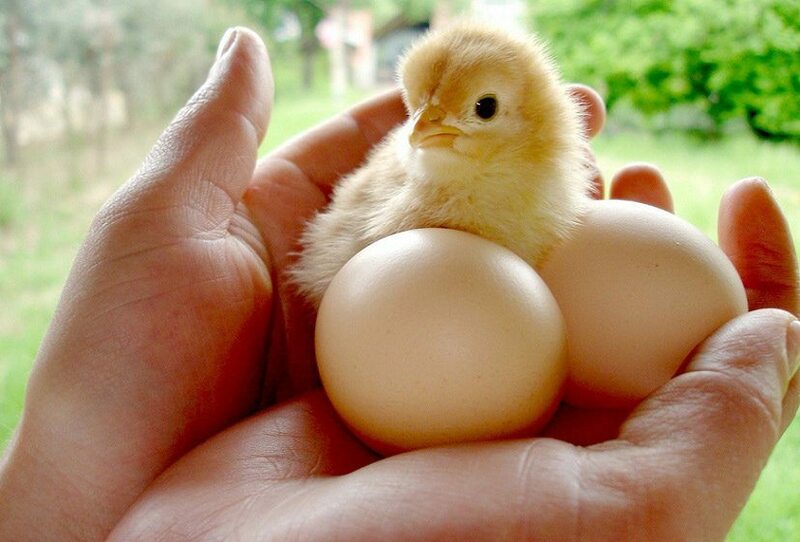 They locate and inspect the liver of the chick, and if it’s healthy and in good condition, good news, they can set a date! In many parts of the world, marriage is considered a financial transaction designed to keep the bloodlines of both families going. In rural Papua New Guinea, the groom’s family negotiates a “bride price” from the bride’s family, usually paid in pigs and shells. 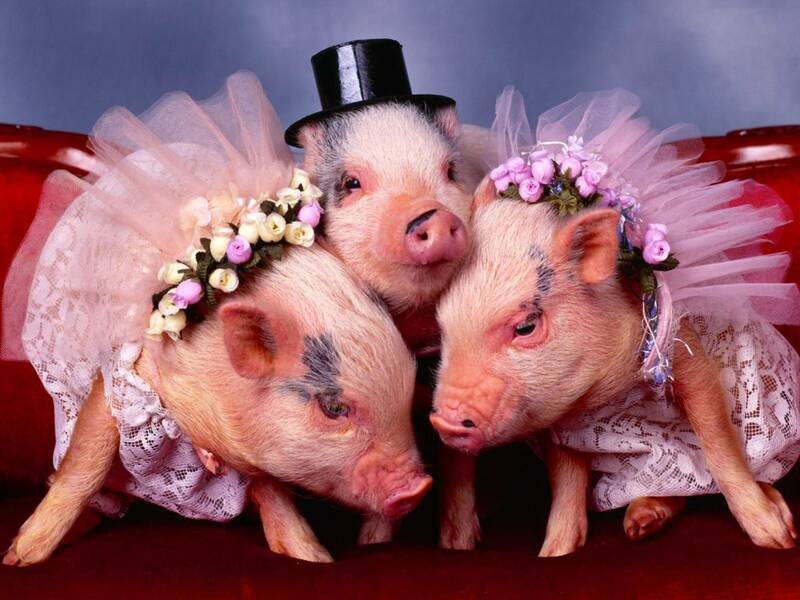 A “lower quality” bride may only be worth a couple pigs, but a desirable bride can fetch as many as 30 pigs! Some of these pigs are then roasted and served to guests as part of the wedding feast. In Puerto Rico, tiny dolls fashioned and dressed to resemble the bride are decorated with small charms. 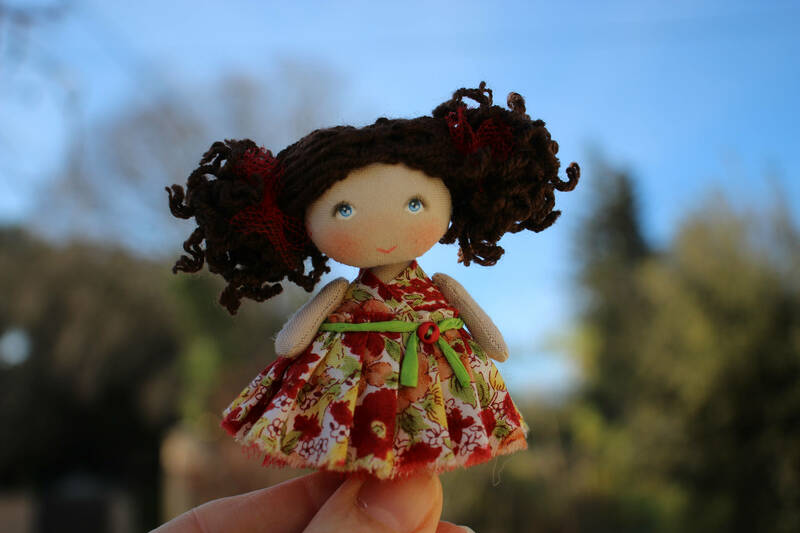 Traditionally, charms are taken off the doll and given to guests, who pin dollars onto the doll in exchange as a way to gift the newlywed couple with some money to start their life together. 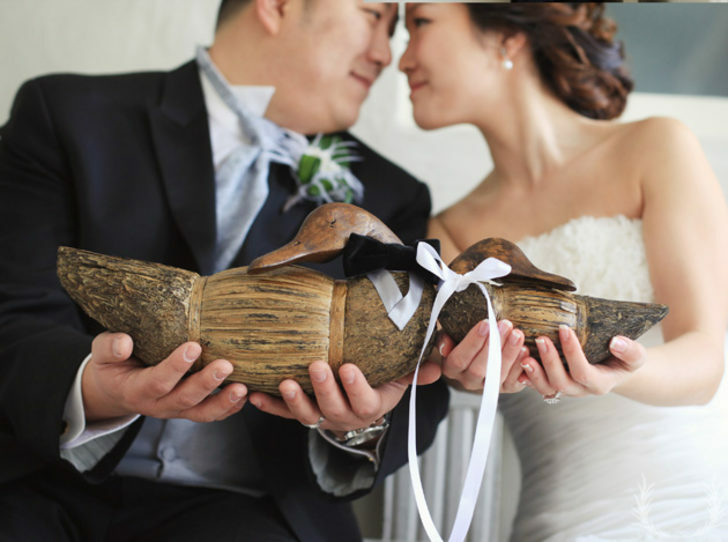 Korean grooms gift live geese to their mothers-in-law. These animals are believed to mate for life, and the gift symbolizes his intentions of fidelity and loyalty to his new bride. In modern times, the gift of a live goose might be more inconvenient than appreciated, so wooden geese or ducks are often exchanged instead. 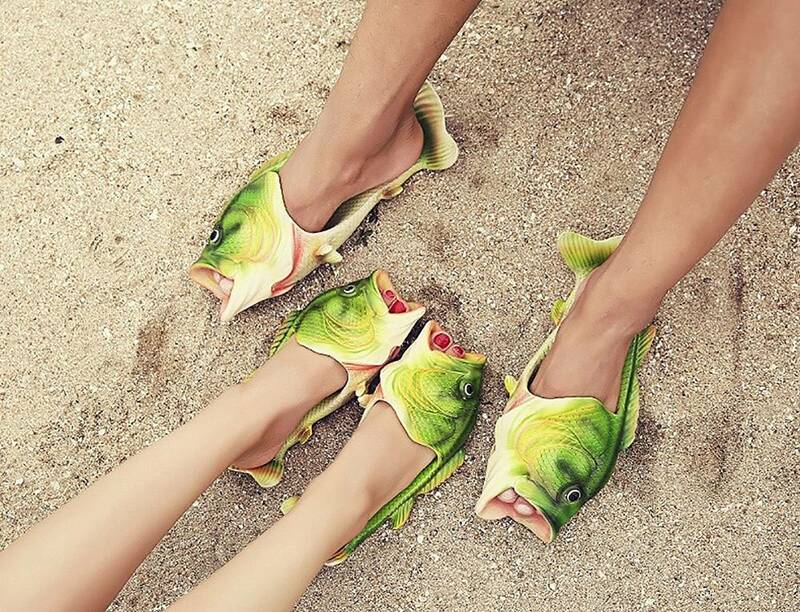 In Korea, after the ceremony takes place, friends of the groom bind his ankles, remove his shoes and beat the soles of his feet with dried yellow corvina fish. 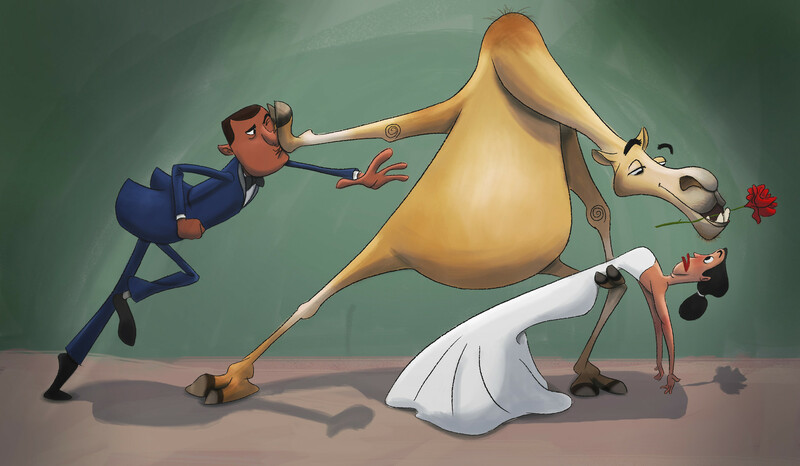 The practice supposedly makes the groom stronger in his marriage, however, it may make him less alluring to his bride on their wedding night. Perhaps the least appetizing custom on this list belongs to France. Newlyweds are gifted a new chamber pot on their wedding night, and before they retire to bed after the wedding they must share a dish served in said chamber pot. A mixture of leftover food (and especially leftover booze) is mixed together, and the happy couple must finish the concoction before going to bed. This was originally intended to give virility and strength to the couple on their wedding night, and also to signal to everyone else that the party was over and it was time to go home. The practice has continued today, but with bananas, chocolate, and champagne mixed and served in a chamber pot, which still seems pretty unappetizing. 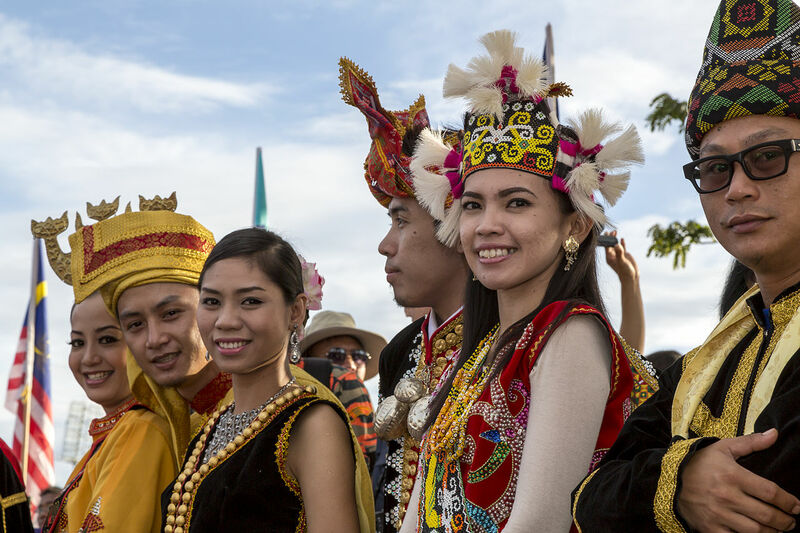 It’s common to save money before a wedding, but members of the Tidong tribe of Malaysia save in more ways than one in the days leading up to a wedding. In order to ward off bad luck such as the failure of a marriage or the death of children, couples don’t go to the bathroom for three days before the wedding. Weddings in Niger often feature some unusual entertainment: after the wedding tent has been purified by the slaughter of a goat under a full moon, wedding guests are entertained by a camel trained to “dance” to a drum beat. How romantic! 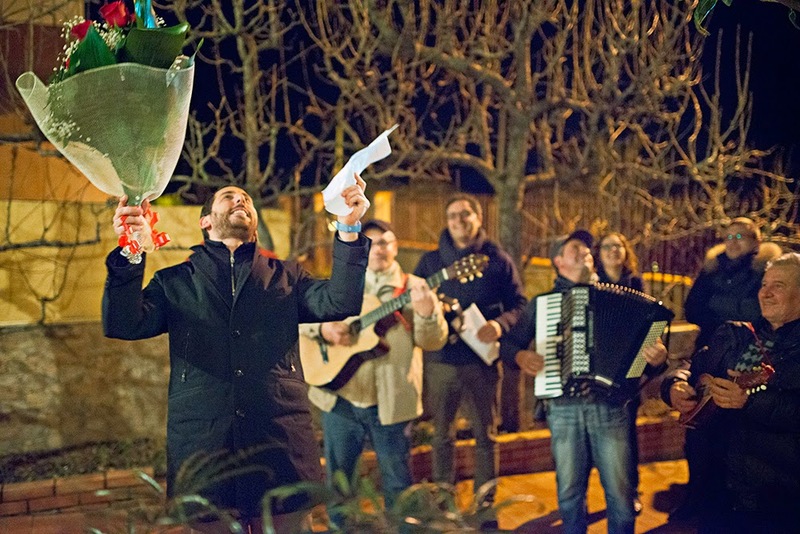 In Costa Rica, grooms will publicly serenade their brides-to-be on the night before the wedding as a demonstration of love, and to show everyone in the neighborhood their passion and commitment to their intended. 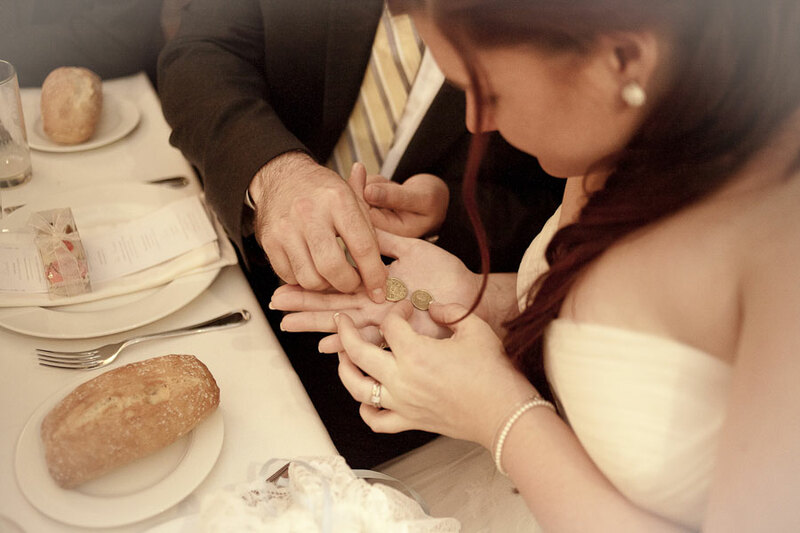 Grooms in Panama give a traditional gift of 13 gold coins to their brides on their wedding day. The coins will have been blessed by a priest, and represent Christ and his 12 apostles. 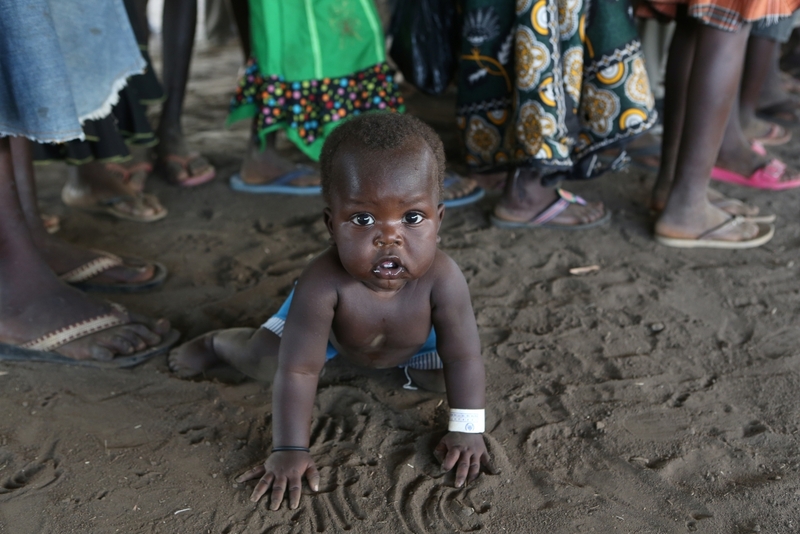 A fascinating practice of the Nuer tribe of Sudan has women who are unable to bear children married off as “husbands.” The wives of these couples are impregnated in secret by other men, but the barren woman is regarded as the legitimate father of the child, and her father’s family line is able to continue. 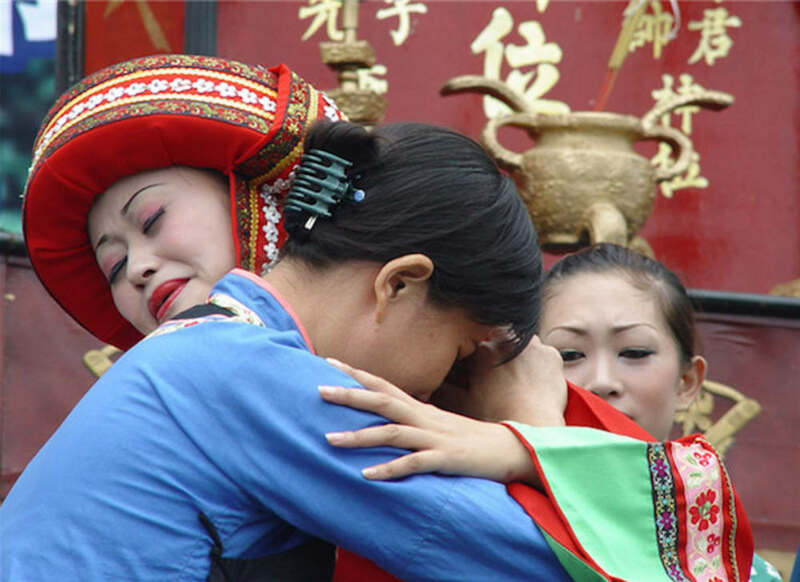 Weddings often elicit tears of joy, and in Sichuan, China, brides are well-prepared. One month before the wedding day, brides begin a practice of crying for one hour per day. Ten days into the ritual, her mother joins her, and her grandmother joins ten days after that. The practice was originally inspired by the story of a noblewoman who cried profusely at her daughter’s wedding. 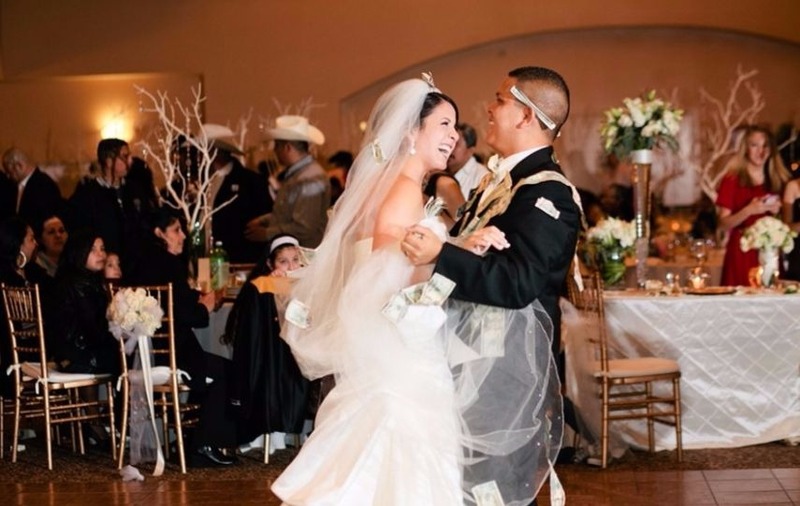 A tradition shared by Latin America and Poland allows guests a chance to dance with the bride—for a price! Guests pay to dance with the bride, and the money is collected by the maid of honor and is used to pay for the couple’s honeymoon. Newlyweds in Venezuela are forgiven if they can’t wait to sneak out of their reception for some time together—it’s actually considered good luck. Good luck supposedly comes to the first person to notice the couple is missing, and good luck comes to the bride and groom themselves if they don’t get caught! Brides and grooms in India who are considered “manglik,” that is having a specific astrological combination of Mars and Saturn, are considered unlucky to wed. To remove this special energy, they engage in a ceremony known as “kumbh viva” in which they marry a banana tree, a silver or gold idol of the god Vishnu, or a pot. After the ceremony, the tree is destroyed (or the pot is thrown into the river) and the cursed energy is thought to be removed, and the manglik people can marry normally. 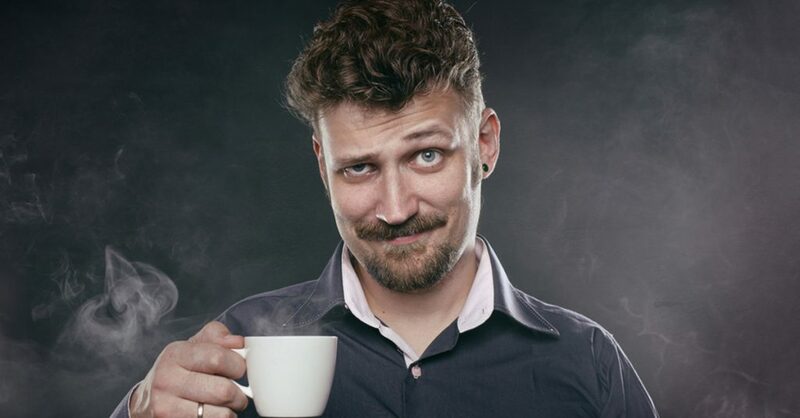 Swedish brides can expect to leave her wedding reception with very chapped lips: Each time the groom leaves the room, all the men at the reception are permitted to kiss the bride as much as they want. 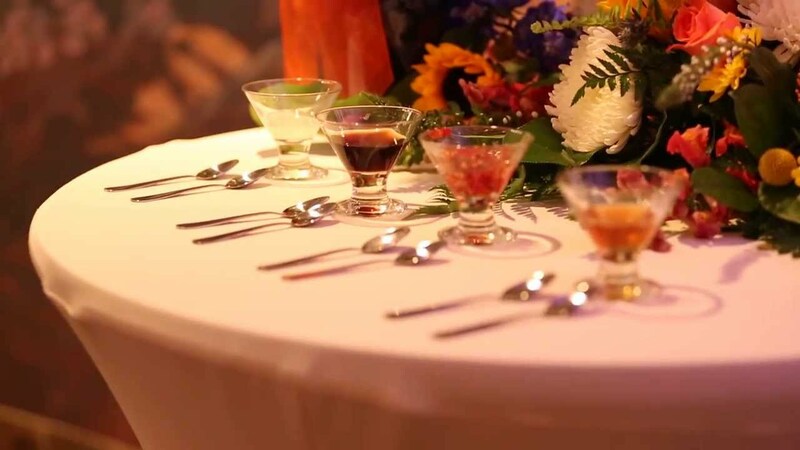 And as is common at North American ceremonies, if someone starts clinking or banging their glass with cutlery, the guests join in until the bride and groom share a kiss. 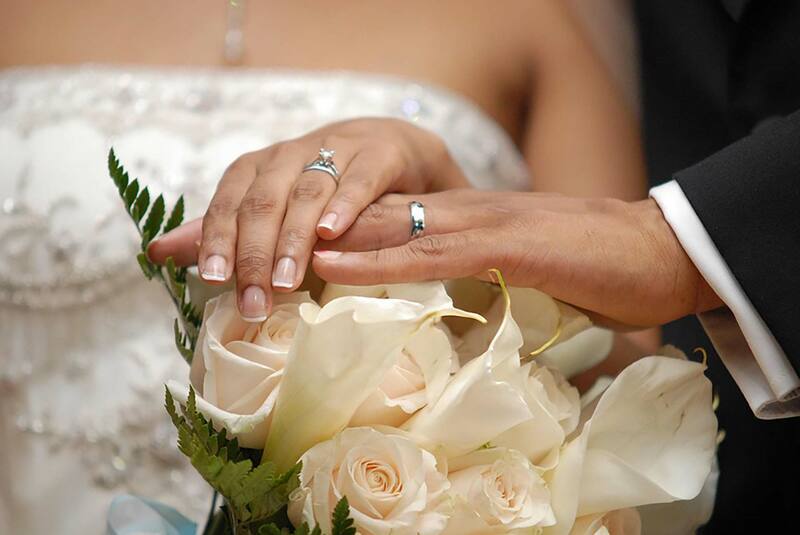 Couples in Chile don’t wait for the wedding to start wearing their wedding bands. They start wearing their rings upon their engagement, and at the wedding, the rings are switched from their right to left hands to signify their marriage. Couples at traditional Jewish weddings stand under an arched canopy called a chuppah. 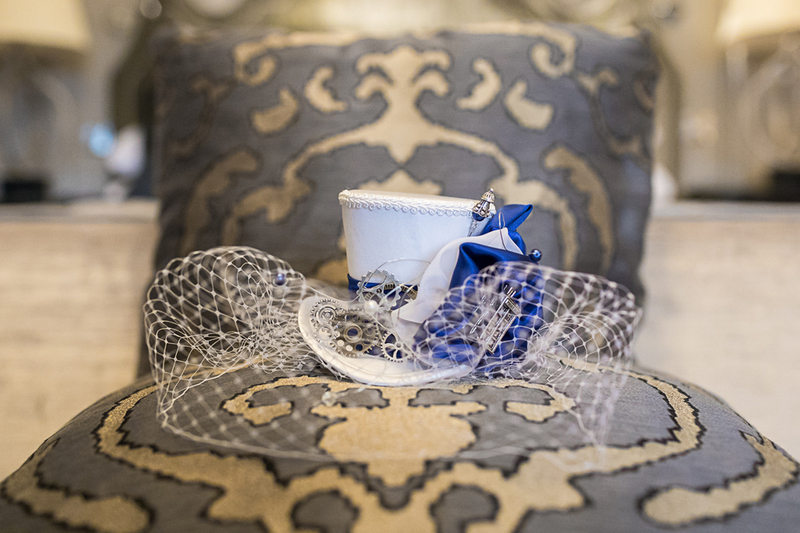 No jewelry is worn under the chuppah by either party, as it could lead to an excessive focus on material possessions. In India, brides and members of the bridal party have their hands and feet painted with henna in elaborate designs known as mendhi. 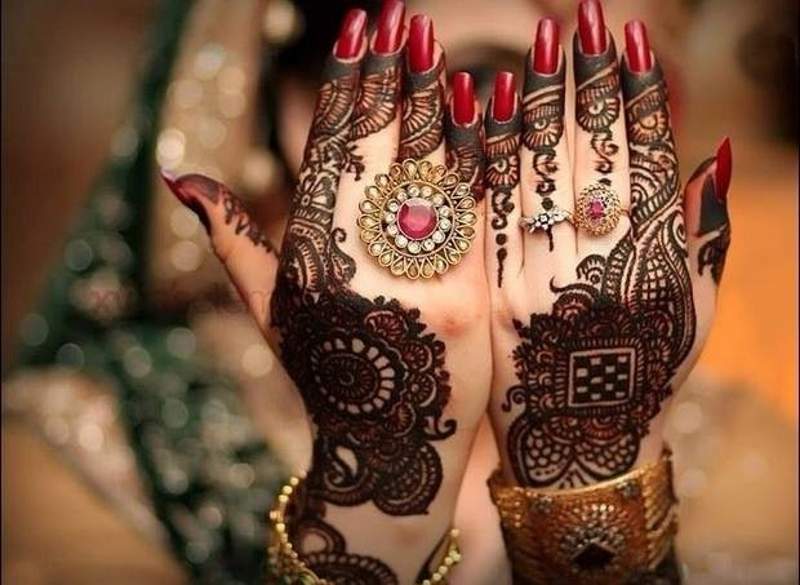 The designs take hours to apply and dry, so “mendhi parties” are often a fun way for the bridal party to spend time together and bond before the wedding. The mendhi designs last several weeks after the ceremony. Swedish brides wear crowns of myrtle blossoms, signifying purity, fidelity, virginity and good luck. Myrtle is also a common bloom used in wedding bouquets all over the United Kingdom, beginning with Queen Victoria’s daughter carrying a bouquet of myrtle at her royal wedding in 1858. Planting trees is an important wedding ritual in Europe. 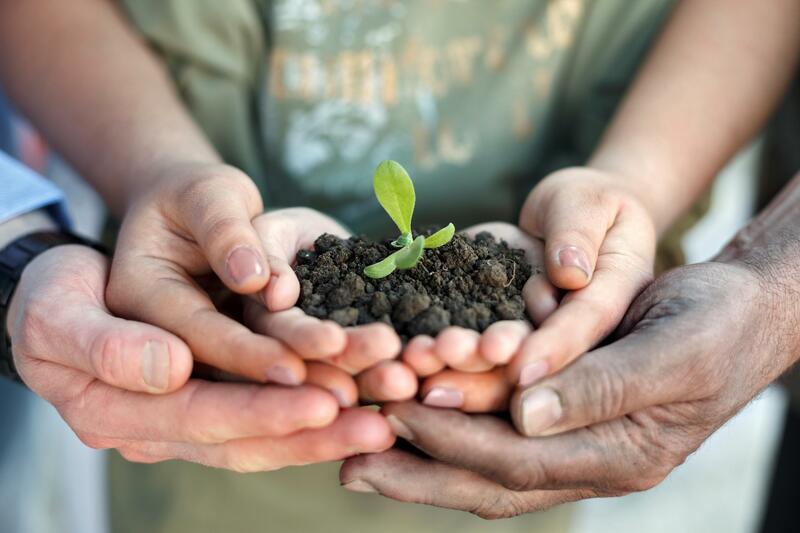 In Germany, a group of trees is planted upon the birth of a little girl, so that by the time she is ready to wed the trees are full-grown and can be sold for timber to help pay for the wedding. In the Czech Republic, a tree is planted at the time of a wedding and then decorated with colored string and painted eggshells; according to legend, the bride will live as long as the tree. Many brides dream of wearing white on their special day, but in Japan, brides take it even further. In ceremonies held in traditional Shinto shrines, brides are painted pure white from head to toe and don white kimonos and elaborate white headpieces. 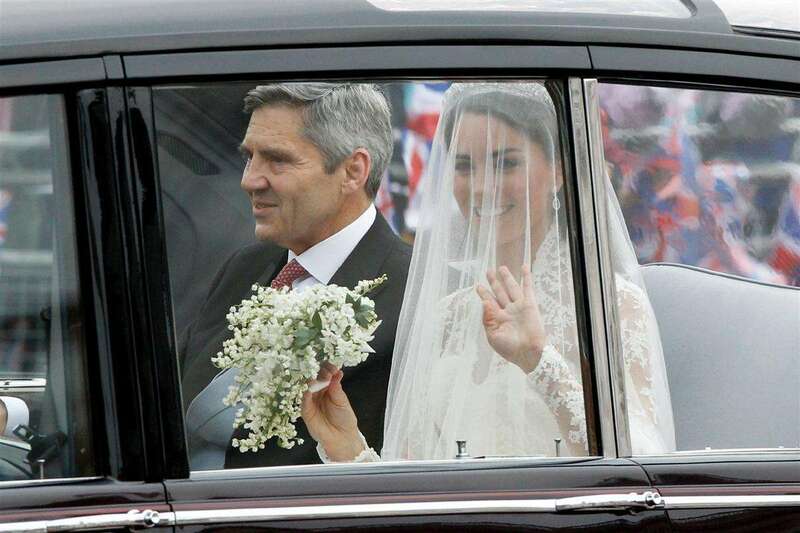 The white hood is intended to hide her “horns of jealousy” and display her wish to become an obedient, gentle, and devoted wife to her husband. 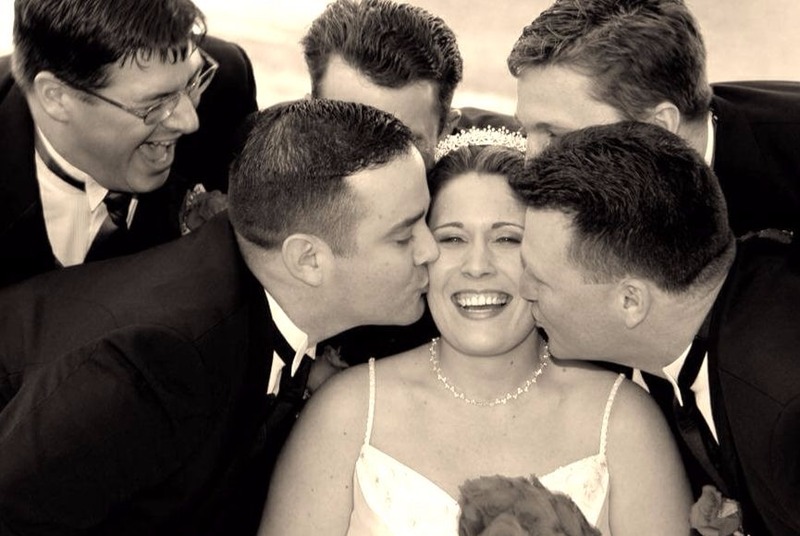 One happy couple wasn’t content with just one wedding, they wanted to try them all! The couple behind the “2 People 1 Life” wedding blog spent five years traveling the globe, getting married according to local customs in over 71 ceremonies in 65 different countries on five different continents. 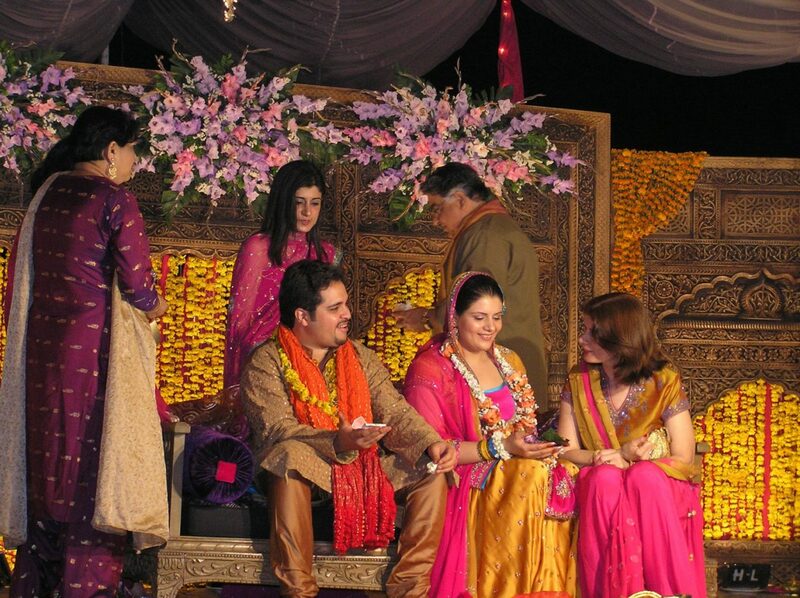 They’re now working as global wedding consultants, helping couples bring a bit of exotic flair to their own ceremony. Quiz: How Well Do You Know Classic Rock?